Lyceum Theatre tickets are available to purchase in a number of different ways such as online, by telephone or in person at the theatre box office. Tickets are are available for all seats in the theatre across the Stalls, Dress Circle and Grand Circle. The most expensive seats are usually around the middle of the Stalls and the front of the Dress Circle. Cheaper tickets can be purchased for seats around the back of the Stalls and the back of the Grand Circle. 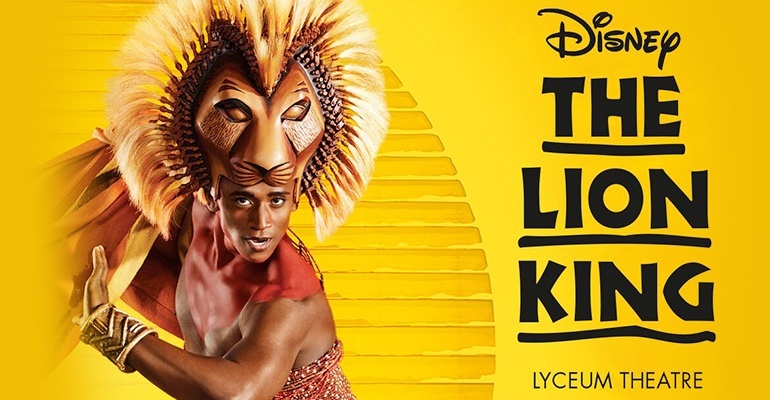 Please note that the current production at the Lyceum theatre is The Lion King which is suitable for children aged 6 and up. Please note that all children need a ticket of their own and the theatre does not currently offer a concession price for children. Children under 3 are not permitted in the theatre. Every ticket for a show at the Lyceum Theatre includes a mandatory £1.25 restoration levy which is marked clearly on each ticket. The levy is included within the price of the ticket and is paid straight to the theatre in order to cover the costs of essential maintenance and upkeep of the building. If you would like to book The Lion King tickets in person then you may visit the theatre box office. The address is 21 Wellington Street, London, WC2E 7RQ. Lyceum Theatre tickets can be bought online, however it is important to check that you are buying from a STAR-accredited site. STAR stands for Society of Ticket Agents and Retailers and is identifiable by the official STAR logo. STAR-approved retailers must comply with a strict set of regulations that ensures the face value of tickets is always displayed and any viewing restrictions are clearly presented before purchasing. STAR acts as a regulatory body and will intervene on your behalf if you believe that your tickets did not comply with retailer regulations. See Tickets offers customers the chance to print their tickets at home, which can often be much more time and cost effective as you will not have to pay a postage fee. Print at home tickets also protects you in the event of accidentally losing your tickets. If customers choose this option they must make sure that they print all of the tickets for their party. Please contact the access team on 0800 912 6972 or email Lyceumboxoffice@theambassadors.com for details of upcoming access performances. Group rates are available at the Lyceum Theatre for large parties. Group bookings are often a good idea for school trips, larger scale family events and community trips. To make a group booking, contact 020 7206 1174 or email groups@theambassadors.com. The Lion King does not currently sell day or rush seats. Please contact the box office for further information.